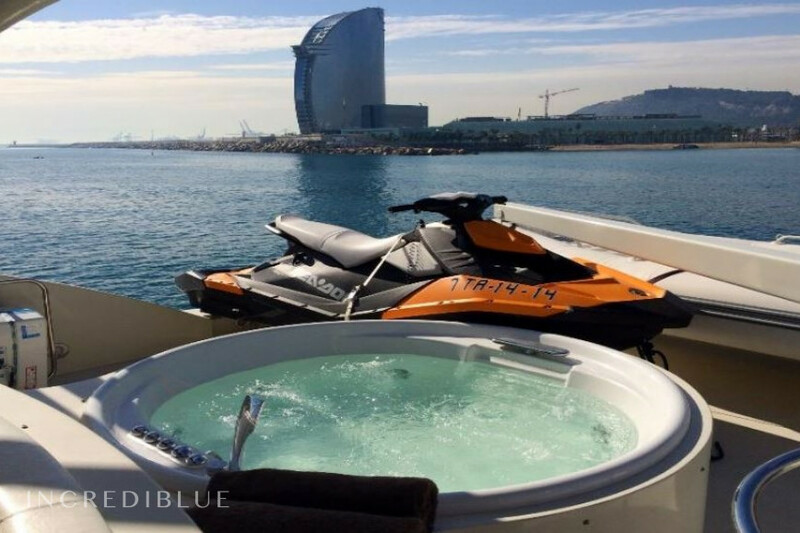 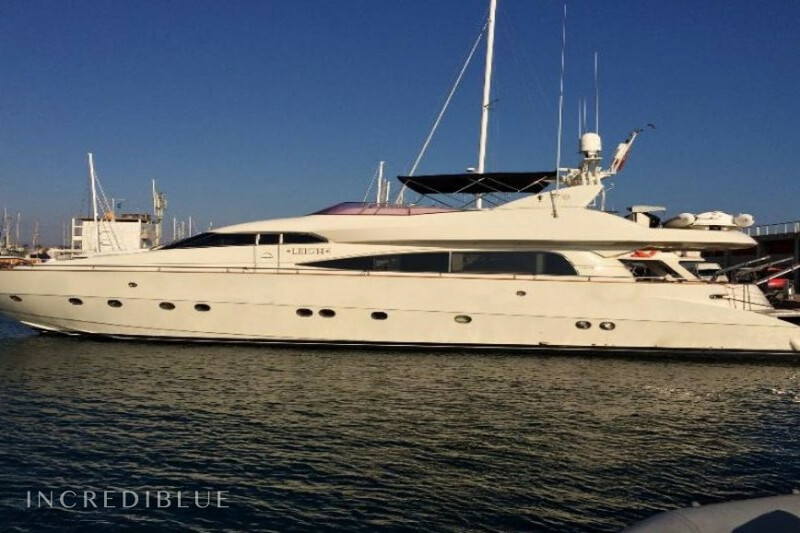 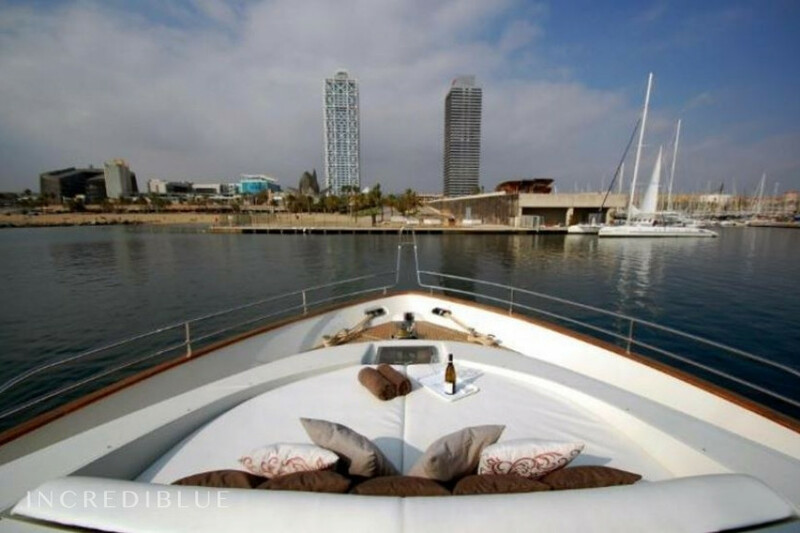 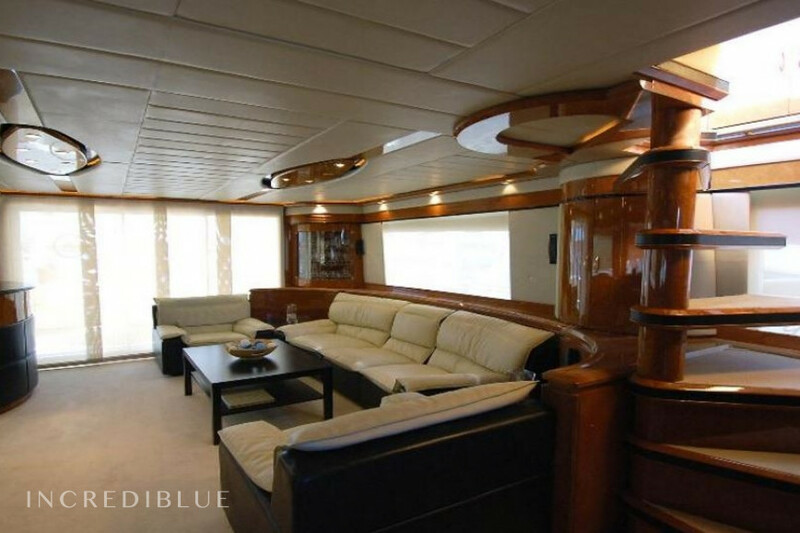 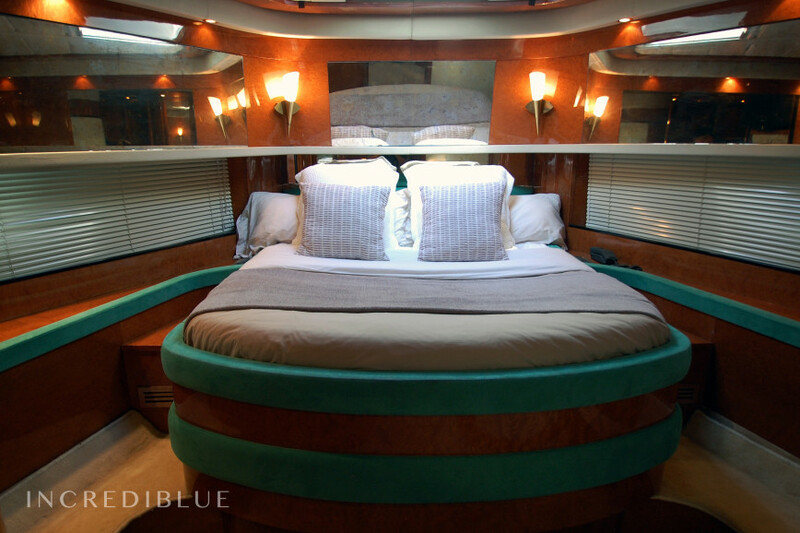 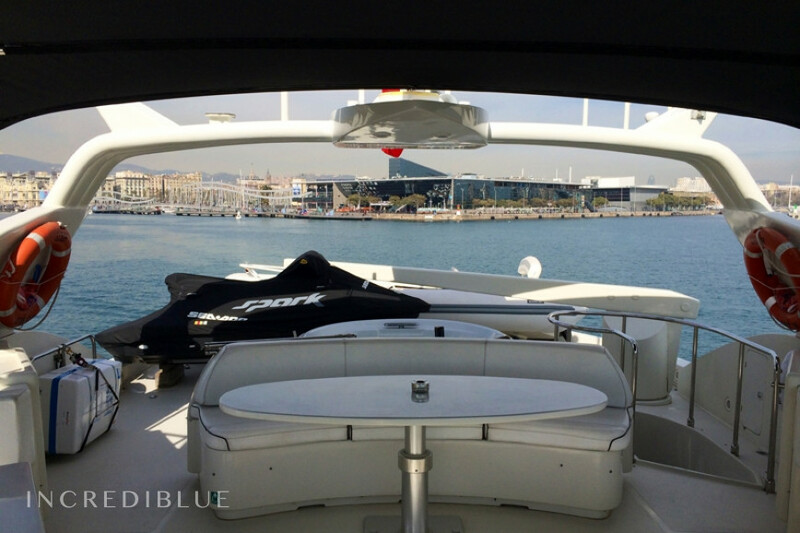 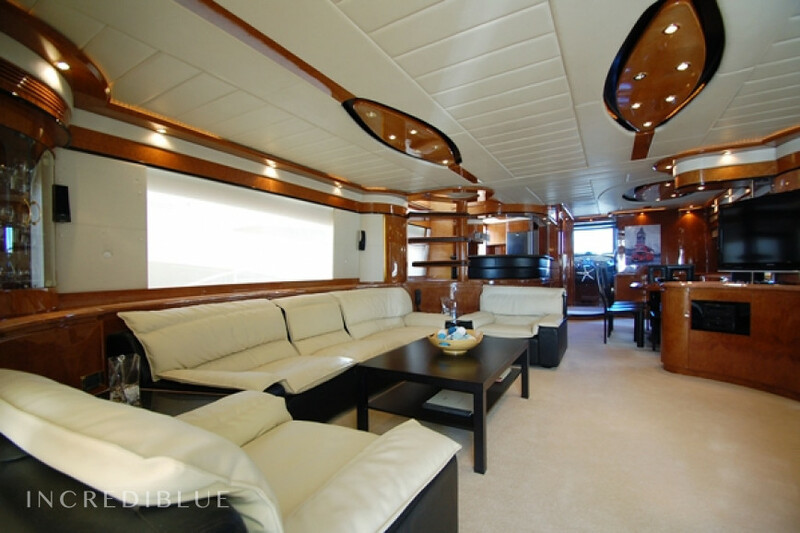 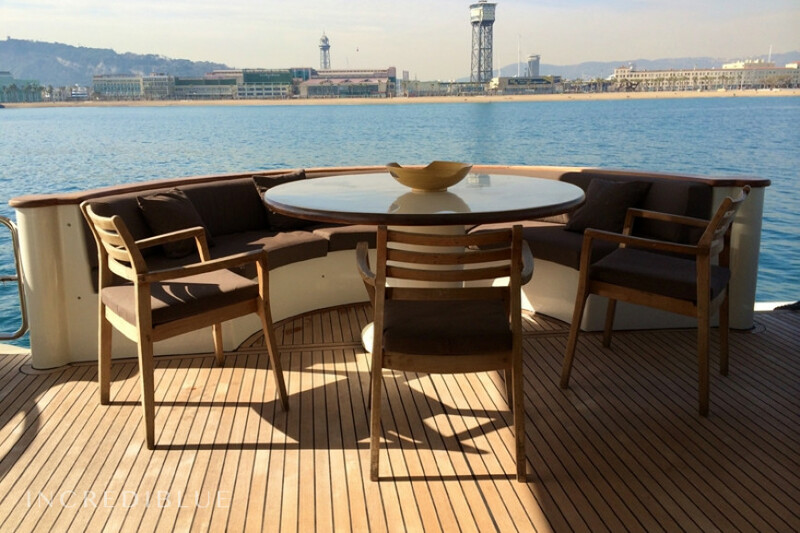 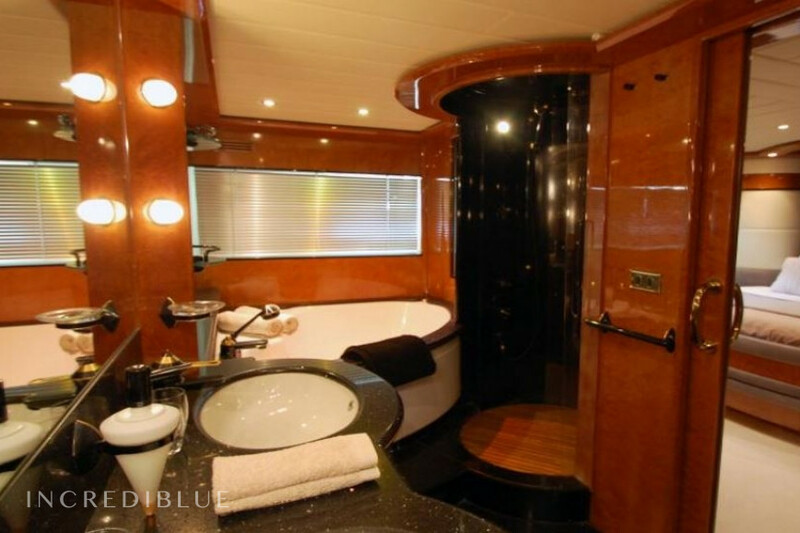 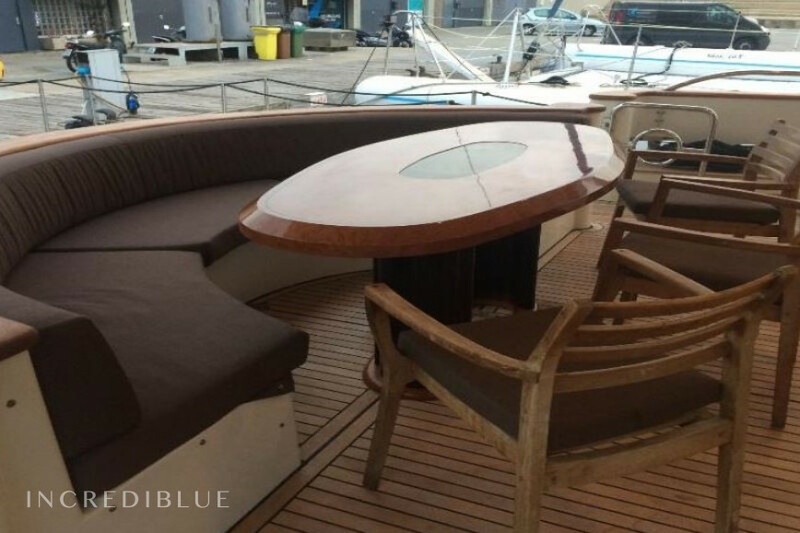 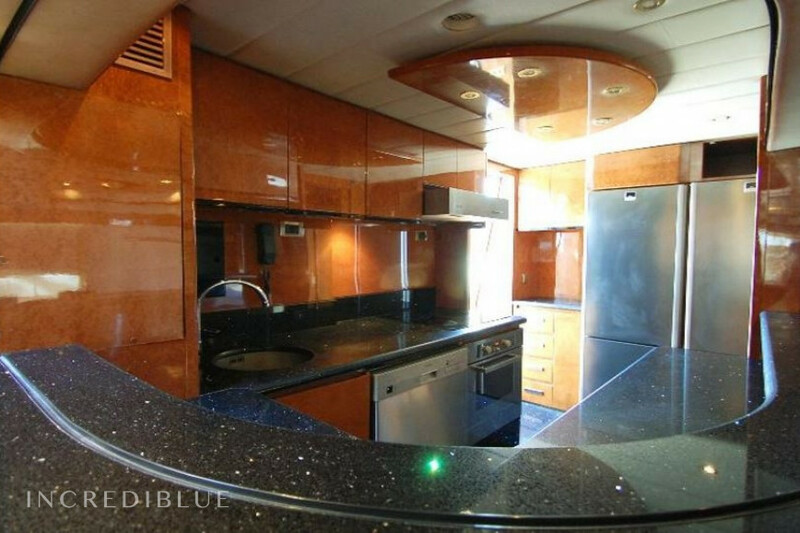 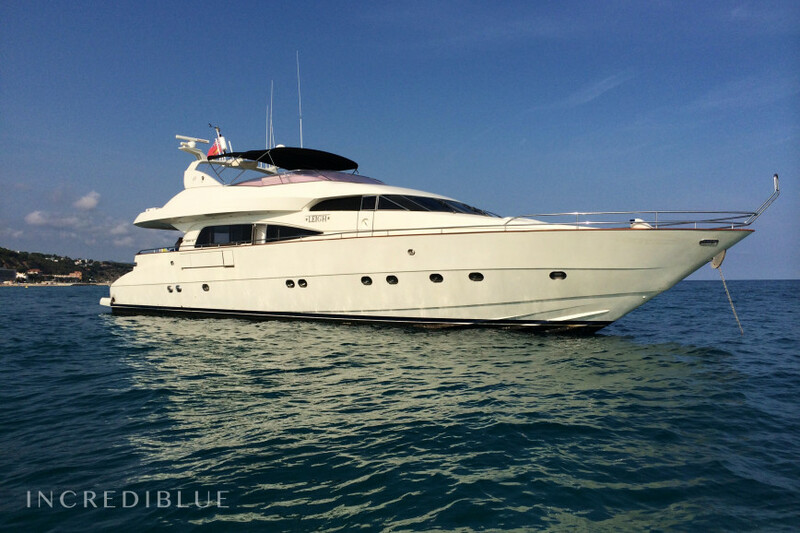 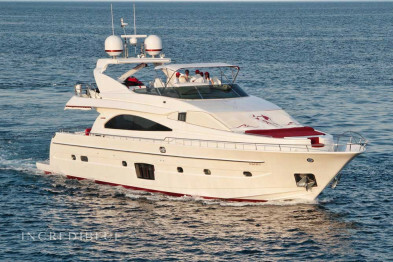 Luxury yacht of 26 meters in length, ideal for exclusive outlets for Barcelona and surroundings. 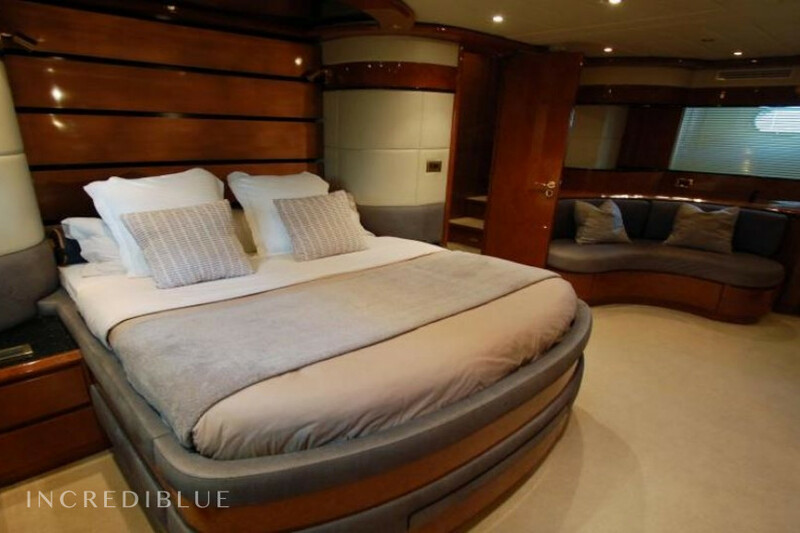 With up to 12 people on day sailings, it offers 4 comfortable cabins and 4 bathrooms that allow overnight to a total of 8 people. 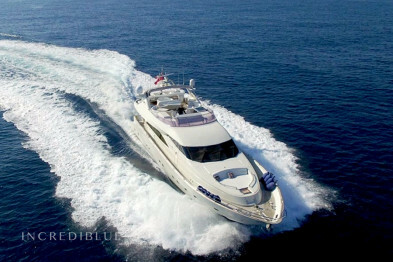 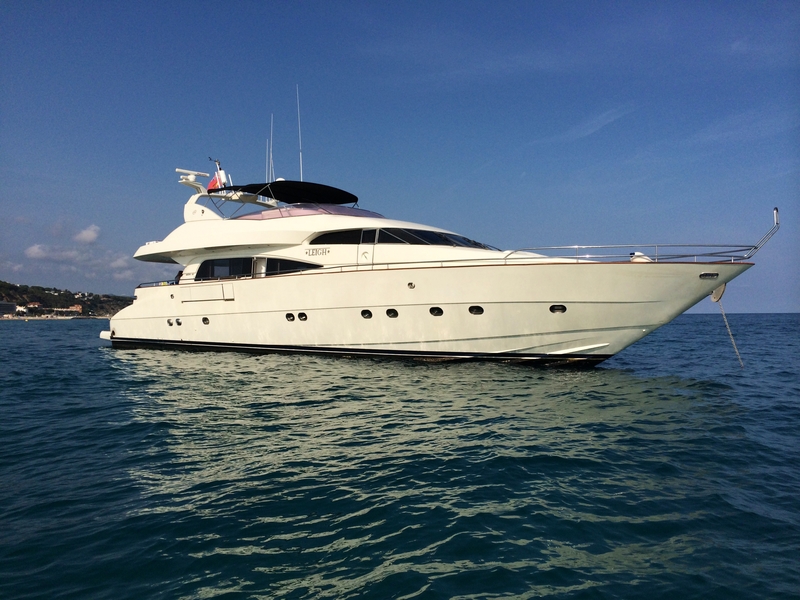 It is equipped with 2 engines of 1800 hp driving the boat to a cruising speed of 18 knots, ideal for quick trips. 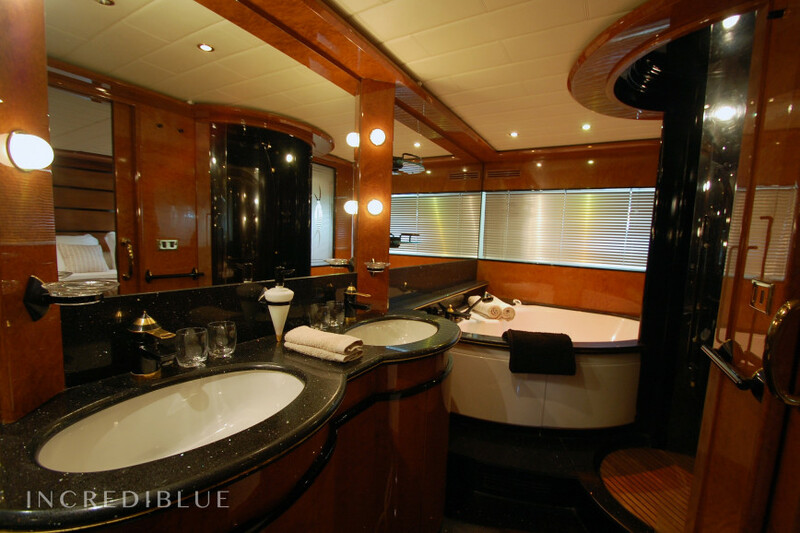 The yacht stands out for its design in great detail, and its wide distribution on board that makes the stay very comfortable. 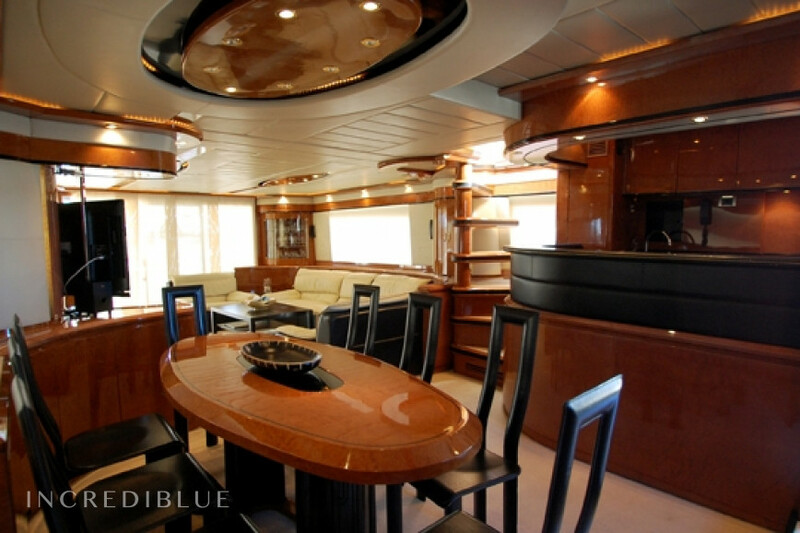 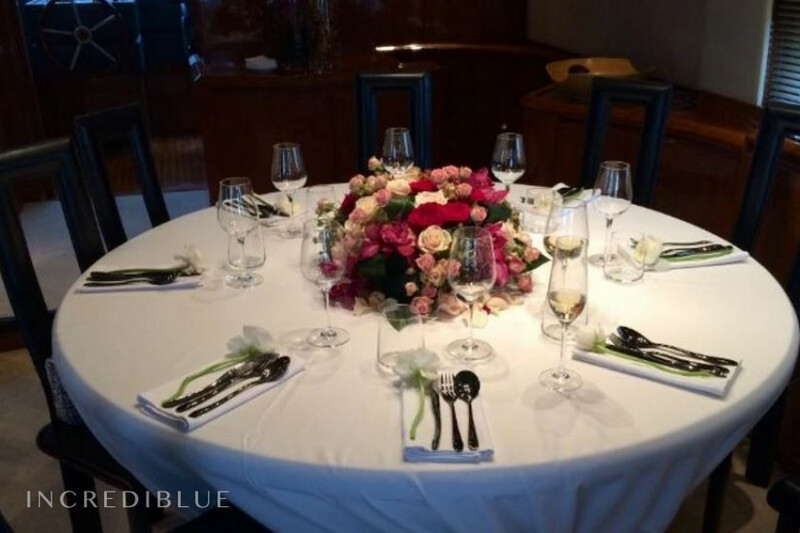 It has a living / dining room with huge outdoor access, ideal for parties or group dinners. 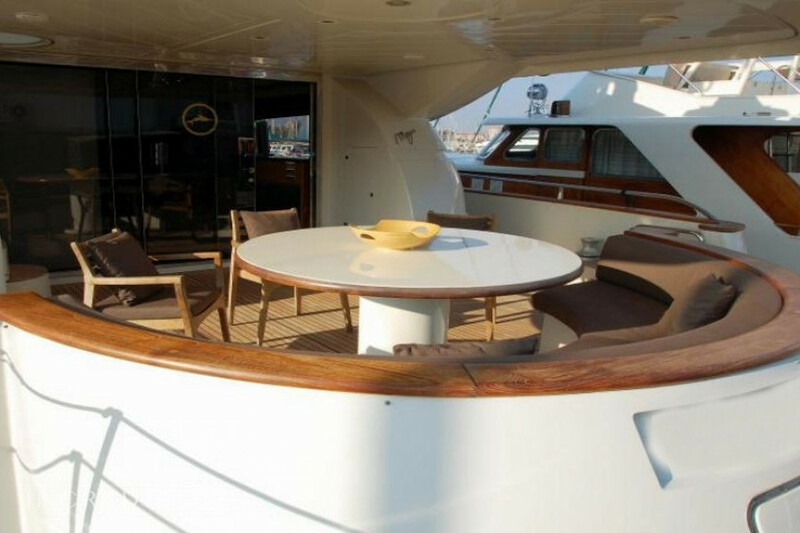 The stern is very spacious with a very comfortable platform and has a Jacuzzi bath.